Tae Prakardwutthisan (แท้ ประกาศวุฒิสาร) is one of Thailand's most famous director and film producer. He is born in year 1918. He was the older in a family of 5 kids. 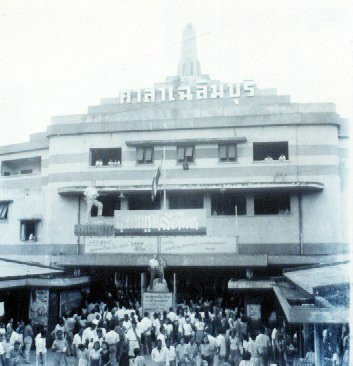 In 1927, Thai movies theaters were made of wood and located in markets. In those years the movies were still mute movies with English text displayed on the screen when actors were talking but Thai people were not able to understand. Music was performed by a แตรวง (โหมโรง) in front of theater to attract audience. No chair but bench. Then sad or happy or fast music was played during the movie by the orchestra depending on the scenes. In the past, movies were shown at evening time only. No day sessions except during specific events such as Chinese New Year. The price ticket was a few satang. Tae Prakardwutthisan wished to be a photographer. In the past, information such as "News of the Day" or "British Movietone News" were shown before the main movie. He took part to a movie called กระเหรี่ยงไทรโยค. 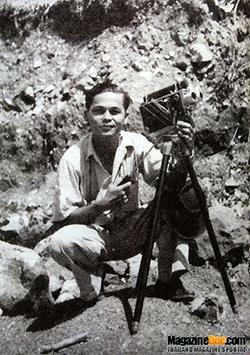 Tae Prakardwutthisan also worked as photographer for the Thai tourism promotion office. He finally joined the team working in theater Sala Chaleum Krung (โรงภาพยนร์ศาลาเฉลิมกรุง). He also worked on หนังข่าว starting in 1941. 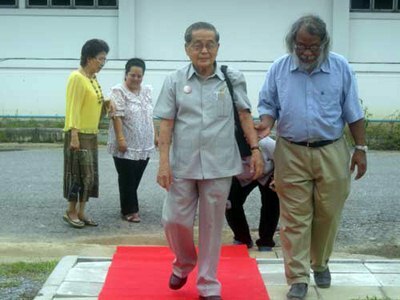 Tae Prakardwutthisan faced World War 2 with Japanese soldiers invasion. Foreign movies stopped entering thailand. Old movies or Japanese movies were shown to Thai people. 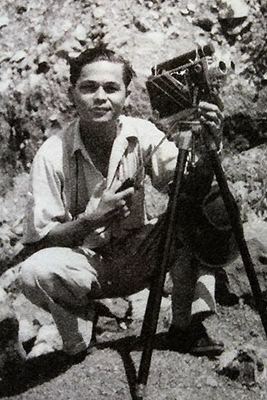 Tae Prakardwutthisan became film director and photographer for the Thai Army during two years. 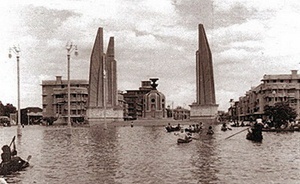 Tae Prakardwutthisan also filmed the 1942 Bangkok floods. His movie had become an historical thai movie. 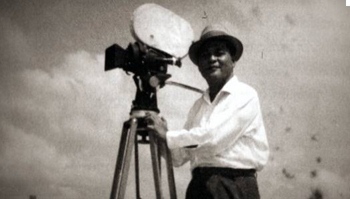 Tae Prakardwutthisan also filmed other events such as 1 วันในการรัฐประหาร in 1947. 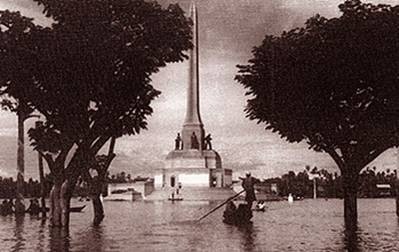 Some major events Tae Prakardwutthisan faced after war were the death of King Amidol in 1946 and the coup d'etat in 1947. 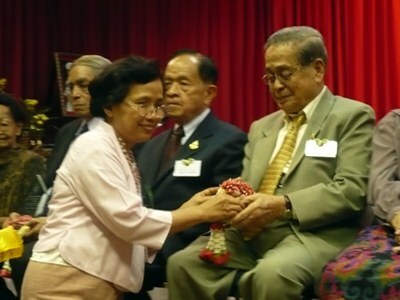 Tae Prakardwutthisan also took part to Royal ceremonies such as งานถวายพระเพลิงในหลวงอานันท์. It was the first recording of a Royal ceremony. As there was no wide deployment of TV at that time, Tae's movie was shown all over Thailand including Bangkok and Chiang Mai. Tae Prakardwutthisan worked with three famous Thai comic stars during years 1953 and 1954, i.e. Dokdin, Lortok and Sompong. They made three movies filmed by Thae. The titles are สามเกลอเจอจานผี, สามเกลอกระยาจก with beggars characters then สิงห์สันติบาล. Each movie was coming from the idea of one of the comic. Tae was producer, director or photography director depending on the movie. In year 1956, Tae Prakardwutthisan shot a new movie ปาหนัน in Phuket with Adul, Prachuap and Jaratsee (จรัสศรี สายะศิลปี). 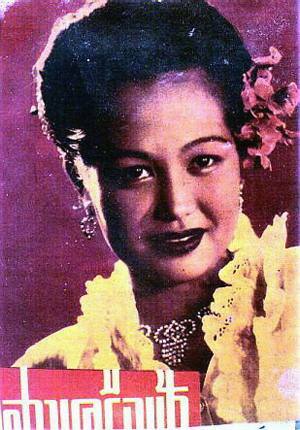 In year 1957 Tae Prakardwutthisan was invited in a international film festival in Russia. Despite Russia being communist, he got approval from Thai authorities. In year 1958 competition increased between movies in order to get slots in theaters so bigger advertising budget was needed. Tao decided to make a break as he was fed up of competions between movies and theaters. 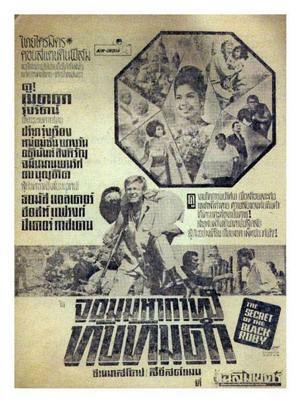 During 1960s decade, Tae Prakardwutthisan joined co-productions with Germany such as "The Secret Of The Black Ruby" and "The Black Panther of Ratana". The last one was "The secret agent fx 15" or ชุมทางพยัคฆ์ร้าย. 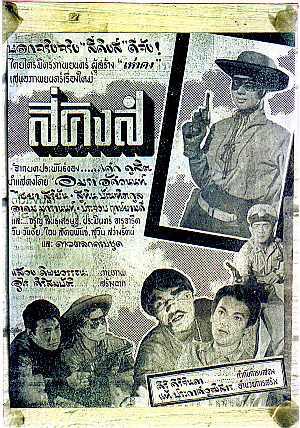 Tae only produced the movie ชายชาตรี with Mitr Chaibancha in year 1965. As Petchara was not available, Pissamai was used. Tae had another project with Mitr regarding a movie about military planes but it never happened due to Mitr premature death. Thai movie เมืองแม่หม้าย with Sombat, Aranya and Metta. was released in year 1969 in 35mm format and featured songs. It was a big production as Thae brought Sombat from Bangkok to Buriram เขาพนมรุ้ง including plane to Khorat so that Sombat could be back on time for other evening shooting. Many ดาวโป๊ were featured in this movie. Thae even brought Metta to Nan for a song recording. This movie was the first movie to be played in Sala Chaleum Krung after its restoration. It got 1M for the first round in this theater. It was not enough to cover the 3.5 M expenses but thanks to theater of level 2 (โรงหนังชั้นสอง), it could. In year 1971, Tae Prakardwutthisan’s new movie with Sombat and Aranya was แก้วสารพัดนึก. It was shot in 35mm format. It was released during Chinese New Year. It included some Chinese actors but was not a big success. 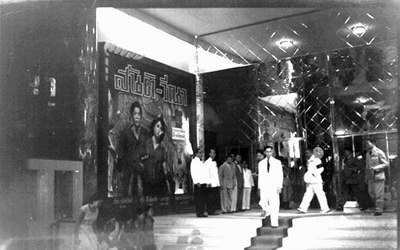 With first class of cinema such as Chaleum Krung or Chaleum Thai theaters, there was a need to pay a fee to be programmed and then to share half of the revenue. 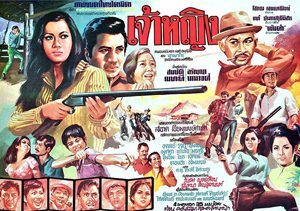 Due to money issue, advertising was limited so his movie เจ้าลอย (1972) with Sombat / Aranya / Sithao only got a very limited success. Tae even lost money and had to pay from his own pocket. It was his last movie. Tae Prakardwutthisan tried to produce a political national movie in year 197x. For the Asian Games V, Tae was involved with some Hong Kong producers. Movies in 35mm had to be developed in Hong Kong laboratories. 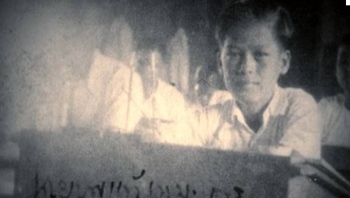 In year 1988, Tae Prakardwutthisan gave his personal archives (movies, pictures...) to the Thai Film Archives. It is worth to notice that only the original version of a film shot in 16mm was very colorful. Copies were not as good so sometimes some directors use two cameras to shoot movies in order to have two original versions! Tae helped to work for the Thai film archives during eleven years. 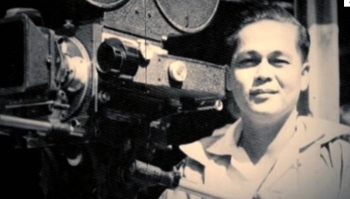 Tae Prakardwutthisan contacted Khun สุรัช ตันสุรัตน์ and succeeded to get back his own movie เจ้าหญิง and other 16mm movies (ระฆังผี and ) for the Thai Film archives. Tae Prakardwutthisan was named as National Artist in year 2006. 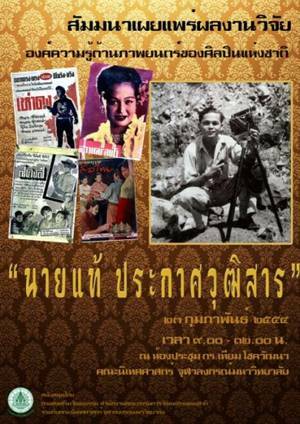 This book written by Tae Prakardwutthisan himself can be purchased at the Thai Film Archives in Nakhon Pathom. Tae Prakardwutthisan is one of Thailand's most famous director and film producer. His key movies include the Bangkok flood (1942), สุภาพบุรุษเสือไทย (1948), สาวเครือฟ้า (1953), เห่าดง(1958), สี่คิงส์ (1959). He was named as National Artist. This Tae Prakardwutthisan movie page contains 9 records. สี่คิงส์ or "See King" is a Thai crime movie produced by Tae Prakardwutthisan. The 1959 movie is lost in Thailand but hopefully a 16mm "behind the screen" sequence of 10 minutes is still available. 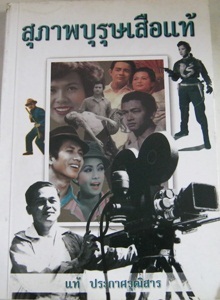 It was given by Tae Prakardwutthisan himself in year 1988 to the Thai Film Archives. 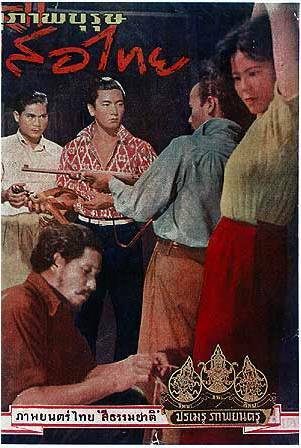 Despite using same actors as “Hao Dong” (1956), “See King” movie was not a commercial success. The sequence shows the actors and actresses during the first projection in year 1959. Those actors are Amara Asavananda, Chaiya Suriyun, Dokdin Kanyaman, Prachuap Ruekyamdee, Sompong Phonmitr, Sawin Sawangrat, Lor Tok. The movie trailer is also included. A few fights are featured with Chaiya. Dokdin Kanyaman is acting as a journalist. Somphong and veteran comic actress Chosri Misommon (ชูศรี มีสมมนต์) are featured together. Both the main actor and main actress are nice outlaws. Similar as in movie “Hao Dong”, Amara is wearing a mask. The sequence is coming from a DVD that can be bought at Thai Film Archives. The movie advertisement song radio is set as soundtrack (เพลงโฆษณาหนัง) and highlight it is a good movie (สี่คิงส์ หนังดี สี่คิงส์ ยิ่งใหญ่ เด็ดจริง ถึงใจ ใช่ใคร สี่คิงส์). A remake version was released in year 1982 featuring Sorapong Chatree and Naowarat Yooktanun. It was not also a great commercial success. Supha Burut Seua Thai (สุภาพบุรุษเสือไทย) is a Thai movie shot in 16mm format in 1948 and released in year 1949. It is a lost movie but in year 199x Tae Prakardwutthisan (แท้ ประกาศวุฒิสาร), famous Thai movie director and producer, gave to the Thai Film Archives a lot of documents and films. It included 'Supha Burut Seua Thai' movie behind the screen sequence. It lasts 10 minutes. ‘Supha Burut Seua Thai’ movie took 3 months to be filmed. The movie was shot in Ratchaburi as Tae is coming from here. One highlight is festival and boats competition shooting in เขางู. It was projected during 28 days and earnt 300k baht, a record for that time. It was one of the first Thai movie after World War 2 and is considered as the launch of Thai movies successful era in 16mm format. Movie Supha Burut Seua Thai (สุภาพบุรุษเสือไทย) includes Surasit Sattayawong as main actor and สอางค์ ทิพยทัศน as main actress. Anecdote regarding the movie is that police has to stay all the time as real gold was used during temple shots and to avoid cameras to be stolen by potential robbers. Due to a lack of dubbers, Tae and main actors have to do the dubbing by themselves in Chalem Krung theatre! One session was for the critics. Good overall critics (dramatic, first Thai movie at same level as foreign movie, usage of festival and culture) were received. Advertising was different from nowadays, i.e. big billboards on the theater, van with billboard going around the city, posters stuck on walls. It was a big success first in cinema Chalem Krung during 28 days, then it was shown in other Bangkok theaters and then in countryside. At that time, a movie included orchestra music, comic shows with Lortok, Dokdin and Somphong. 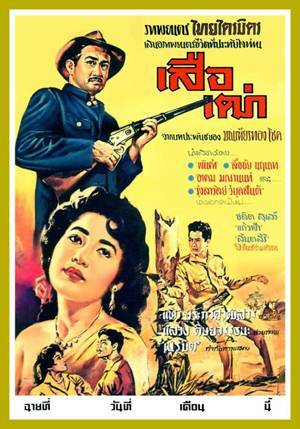 For the first Thai movies oscars in year 1957, this movie received two rewards. 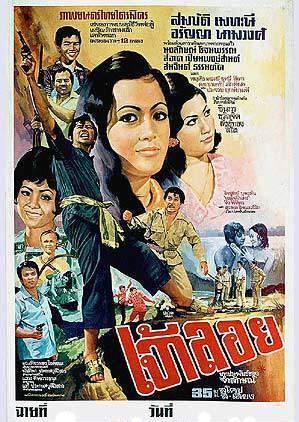 Another movie with the same title was released in year 1979 with Sombat Methanee. 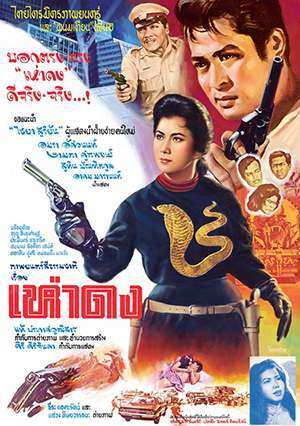 Many movies about Seua Thai were then released during the next years and decades. A short summary is a below. Surasit Sattayawong is playing a subdistrict headman called Thai. He is accused of having murdered his wife. He has to flee in the forest and becomes Seua Thai, a bandit. One day, he is helping a young lady aggressed by ruffians. She then keeps following him. Seua Thai then decides to take revenge over those who accuse him of murder. This old documentary is about Thai floods, which happened in 1942 / 2485. Those floods were very serious. The movie shows Sanam Luang (สนามหลวง) and Wat Phra Kaew (วัดพระแก้ว), Ananta Samakhom Throne Hall (พระที่นั่งอนันตสมาคม), Democracy monument (อนุสาวรีย์ประชาธิปไตย) and Victory Monument (อนุสาวรีย์ชัยสมรภูมิ) under water. Thai people are circulating by boat. Some people even put in place a business renting small boats. The Hua Lamphong (หัวลำโพง) train station is not flooded very high. Public Bus (รถเมล์เทศบาล) are still circulating on Yaowarat road. Drinking water is delivered through tanks. Member of Thai Parliament are arriving by boats. This documentary, done by cinematographer Tae Prakardwutthisan, is part of the first 25 films heritage list announced in 2011. This movie was selected on October 4 2011, which is Thai Movies Conservation Day, reminding the current situation as Bangkok was under a flooding threat in 2011 almost 80 years after the great floods in 1942.